This CD is not about liturgical works, but songs for practical music learning in monasteries. It covers intervals, modes and their changes, psalm tones, the beginnings of solfege in the West with Guido d�Arezzo's syllables and the Guidonian hand. 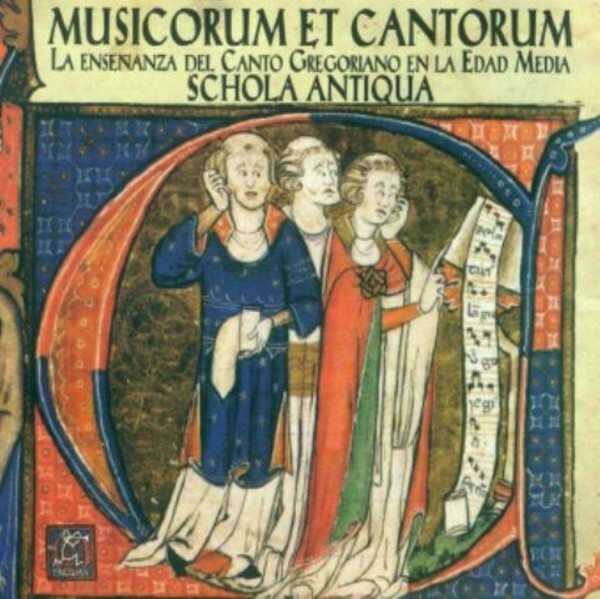 These Medieval teaching devices are recorded for the first time with the help of Eduardo Paniagua�s psaltery.